EPA will undo an Obama-era mandate that new coal plants install costly technology to capture emissions. The Obama administration imposed the mandate in 2015, which opponents called a “de facto” coal plant ban. “Consistent with President Trump’s executive order promoting energy independence,” EPA chief Andrew Wheeler said. The Trump administration proposed rolling back Obama-era regulation that opponents called a de facto ban on building new coal-fired power plants. The Environmental Protection Agency (EPA) will raise carbon dioxide emissions limits for new coal-fired power plants and eliminate the Obama administration’s mandate that new facilities install carbon capture and storage equipment. “Consistent with President Trump’s executive order promoting energy independence, EPA’s proposal would rescind excessive burdens on America’s energy providers and level the playing field so that new energy technologies can be a part of America’s future,” EPA acting Administrator Andrew Wheeler said in a statement. 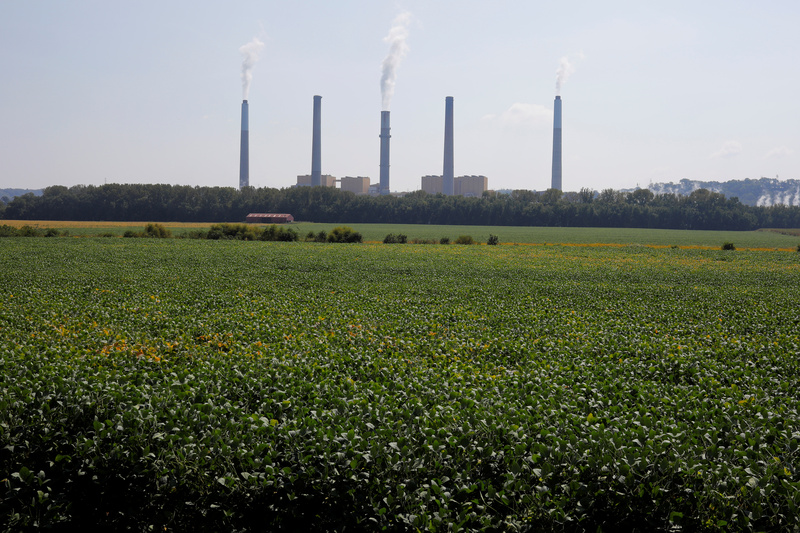 EPA’s plan to modify New Source Performance Standards (NSPS) for power plants is part of the Trump administration efforts to unwind the Clean Power Plan — the centerpiece of former President Barack Obama’s global warming agenda. The Obama administration’s 2015 Clean Power Plan forced states to cut CO2 emissions at existing coal plants and made it extremely difficult to build new ones by mandating they install carbon capture and storage (CCS) equipment. What the Obama EPA did was consider CCS the “best system of emission reduction” for new coal plants, despite criticism from power plant operators, unions and Republicans that doing so would amount to a de facto ban on new coal plants. However, one of those projects, Mississippi’s Kemper power plant, will not actually use its federally-funded CCS system because it’s too expensive. “The Obama standard was de facto ban on new coal plants,” former Trump transition team member Steve Milloy told The Daily Caller News Foundation in May. TheDCNF first reported of EPA’s plans to rollback Obama NSPS regulations that month. 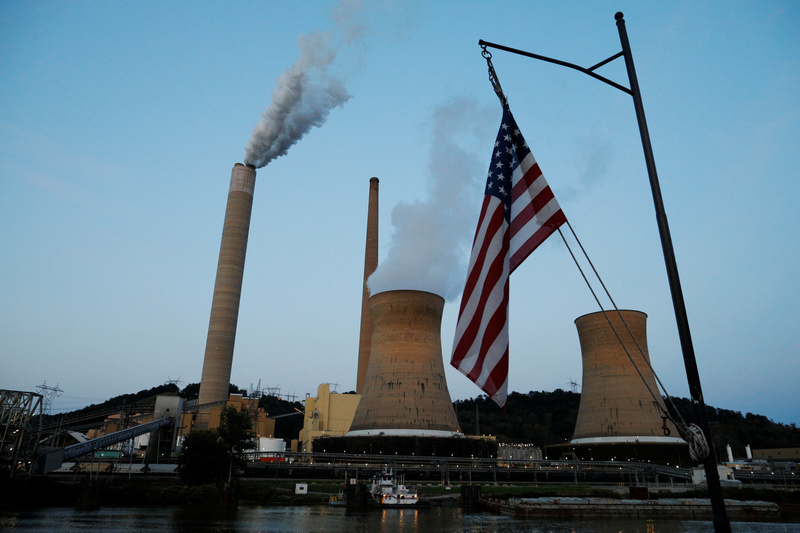 Now, EPA is proposing to define the best system of emission reduction as “the most efficient demonstrated steam cycle in combination with best operating practices,” which is more in line with the coal industry and supporters say is workable. The U.S. flag flies on Campbell Transportation’s towboat M.K. McNally as it passes Mitchell Power Plant, a coal-fired power-plant operated by American Electric Power (AEP), on the Ohio River in Moundsville, West Virginia, U.S., September 10, 2017. REUTERS/Brian Snyder. “By replacing onerous regulations with high, yet achievable, standards, we can continue America’s historic energy production, keep energy prices affordable, and encourage new investments in cutting-edge technology that can then be exported around the world,” Wheeler said. EPA will take comment on its proposal for 60 days, and will no doubt be met with stiff opposition from environmental activists. “President Trump continues to support 20th century energy technology at the expense of modern solutions. This a recipe for economic stagnation,” Danielle Fugere, president of the environmental group As You Sow, said in a statement. EPA proposed repealing the Obama administration’s Clean Power Plan in August, replacing it was the Affordable Clean Energy rule that makes it easier for existing coal plants to comply with limits on carbon dioxide emissions.